HAMILTON - Three people were arrested on a traffic stop recently for receiving stolen property--notably, a truck stolen from Mississippi. Brittney Culver, 22, Baldwin, Miss., J. Derek Purser, 32, Hamilton, and Zachary Ethridge, 25, Guin, were each arrested on July 15 for first-degree receiving stolen property and each remained in the Marion County Jail in Hamilton as of Saturday, July 23, under a $20,000 bond. Purser was also arrested for non-support. 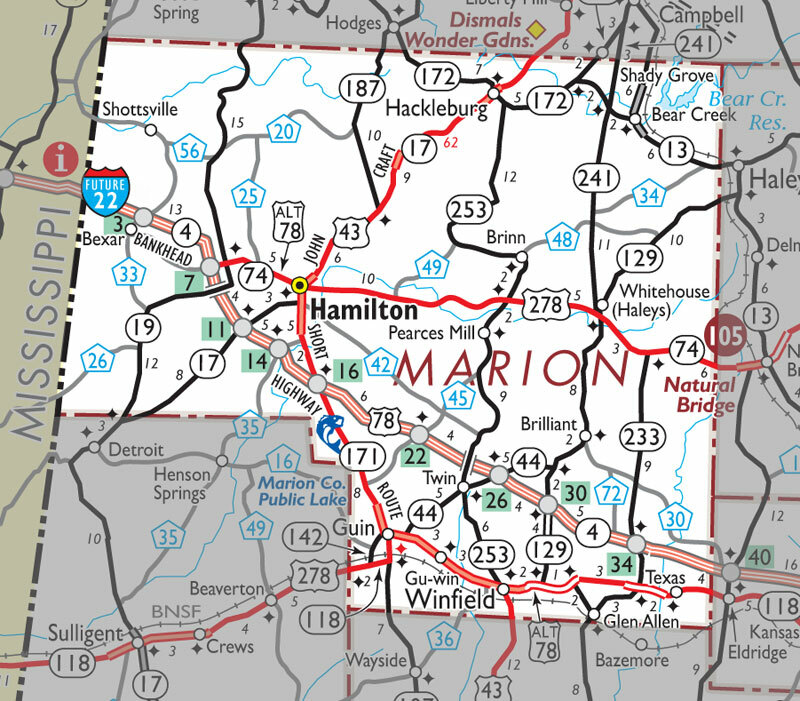 Investigator Damian Allen of the Marion County Sheriff’s Department noted on July 22 that the case resulted from a traffic stop that he made in Hamilton on Friday, July 15. The incident happened near Bevill State Community College-Hamilton on Military Street, involving a 2007 Chevrolet Silverado. He noted it was a three-quarter-ton truck--but with single rear wheels. “They took a dually wheel and turned it around and bolted it to the rear driver’s side, so the wheel was sticking out. It just had some odd characteristics that needed to be looked at a little further,” Allen said. Also, once he tried to get a closer look at the tag number while following them, the car started to veer. “They were doing some evasive driving,” changing lanes in the process. “They were trying to be away from me, more or less. When I got in behind them, I ran the tag and it came back to two different vehicles, which in Mississippi happens occasionally. The truck’s owner also owned a hotshot hauling business where he transported small loads, such as golf carts and boats, Allen said. The vehicle was stolen from his lot, located in the Iuka, Miss., area. Allen said it is possible the trio may be involved in other cases as well. “The vehicle was seen crossing over McNairy County, Tenn., I think,” he said, referring to the Tennessee county just north of the state line from Corinth, Miss. He did not know what other information Tishomingo County had concerning the three suspects, but Allen said the county wanted all three of them.